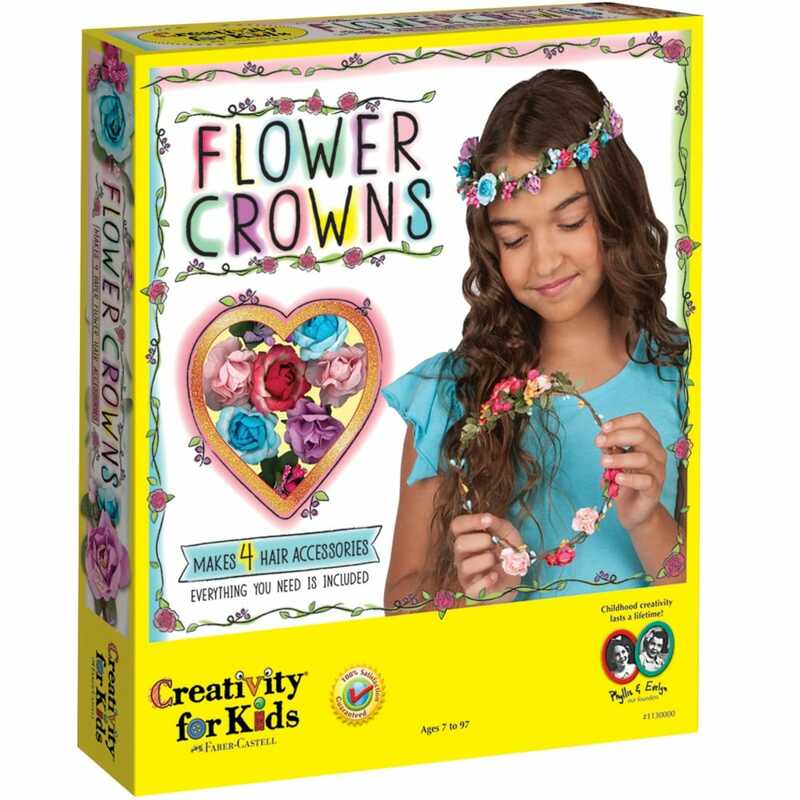 This season’s hottest fashion accessory, Flower Crowns, is perfect for every day “bohemian” style, special occasions and even flower girl gifts! For younger girls, wear this special crown as you are transformed into your own magical environment. It’s fun to make twist realistic paper roses, beautiful berry bunches and charming ribbon ivy around the twig bases, add a little bling with the golden shimmer accent paint included. I have a twelve year-old special needs granddaughter. It's very difficult to find something age appropriate that she can manage to do. She is a pretty child and has long hair. She will love this kit, will prefer it to the expensive electronic gadgetry that she's always bombarded with. A brilliant gift. Her more able sisters will be envious!